Buddhism does not demand blind faith from its adherents. Here mere belief is dethroned and is substituted by confidence based on knowledge, which, in Pali, is known as Saddha. The confidence placed by a follower in the Buddha is like that of a sick person in a noted physician or a student in his teacher. A Buddhist seeks refuge in the Buddha because it was He who discovered and taught us the Path of Deliverance. A Buddhist does not seek refuge in the Buddha with the hope that he will be saved by His personal purification. The Buddha gives no such guarantee. It is not within the power of the Buddha to wash away the impurities of others. One could neither purify nor defile another. The Buddha’s teaching is directed to lead other people out of their misery and suffering, and to show them the way to the highest happiness and peace. Out of his great compassion, for 45 years he taught these causes and conditions to the world. The aim was that people could understand what course of action is to be pursued and avoided. Thus, our ultimate objective in learning the Buddha’s teachings should be to learn how to distinguish the ways that are harmful and destructive from the ways that are helpful and beneficial, the ways that lead to suffering from the ways that lead to happiness and peace. Buddhism is a righteous way of life for the peace and happiness of every living being. It is a method for getting rid of sufferings and miseries, and finding self-liberation. The teachings of Buddha are not limited to one nation or race; they are for everyone. It is neither a belief nor a mere faith. It is a teaching for the entire world for all time. 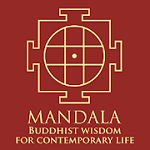 Its objectives are selfless service, goodwill, peace, salvation, and freedom from suffering. Doing no harm and the goodwill are common elements found in religions. Buddhism is based on the principles of peace, equality, and harmony, so there is no place for hatred or violence. Its beliefs of goodwill and loving-kindness are based on sacrifice and service for the welfare and happiness of others. Therefore, religious principles should be used positively for the improvement of the quality of life of all living beings. 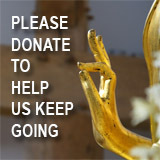 Practicing Dhamma will develop inner self-awareness, goodwill, and understanding. One of the reasons Buddhism appeals to intellectuals and those with higher education is that Buddha expressly discouraged his followers from accepting anything they heard, without testing its validity. Buddhism is a gentle religion, a philosophy in which justice, equality, and peace harness the utmost. Its central theme is self-reliance. It teaches that to depend on others for salvation is negative; whereas dependence on oneself is positive. It further explains that dependence on others means surrendering one’s intelligence, reliance, and efforts. Moreover, Buddhism gives credit to the human’s intelligence and effort for achievements, rather than to supernatural beings [Protecting oneself, one protects others. Protecting others, one protects oneself—by loving-kindness and compassion; Sathipattana, Samyutta, No. 19]. It is important to realize that salvation, as taught in Buddhism, is an individual affair. Only you can save yourself, just as you have to eat, drink, and sleep for yourself. The Buddha’s teachings are only to point out the right path to achieve this. 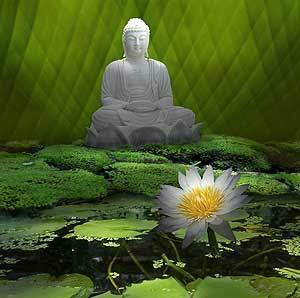 Buddha did not preach to win converts, but to enlighten listeners. The main aim of Buddhists is to attain purity of mind and the enlightenment. Elimination of ignorance, the root cause for birth and death leads to wisdom and the enlightenment. In this regard, Buddhism is neither optimistic nor pessimistic. It does not encourage us to look at the world through changing feelings of optimism or pessimism. Buddhism encourages us to be realistic, to learn to see things as they truly are. Buddhism takes a realistic view of life of the world. It does not falsely pull us into living in a fool’s paradise, nor does it frighten or terrorize us with all kinds of imaginary fears and guilt-feelings. It calls us exactly and objectively what we are and what the world around us is, and shows us the way to prefect freedom, peace, tranquility and happiness. Buddhism is quite opposed to the discontented, sorrowful, repenting, and gloomy attitude of mind, which is in fact, is considered a hindrance to the realization of the Truth. On the other hand, Buddhist teachings emphasized that “joy is one of the seven ‘Factors of Illumination,’ the essential qualities to be cultivated for the realization of Nirvana”. One way to understand the life is to face and understand death, which is nothing more than a temporary end to a temporary existence. Nevertheless, most of us do not even like to hear the word “death.” Whether we like it or not, death is the only certain thing in our life; it will come eventually. However, the recollections on death with the right mental attitude can give a person courage, understanding, and an insight into the nature of existence, while develop the calmness to face death. While Westerners seek to conquer the universe for material ends, Buddhism and the Eastern philosophy strive to attain harmony with nature, environment, and spiritual satisfaction. Most of the rich people in the world today (despite their wealth and modern facilities) are suffering from uncertainty, anxiety, and many other physical and mental problems. With all the money and contacts they have, they cannot find a solution to their problems and sufferings. In contrast, a poor man who has learned to be contented may enjoy his life far more than many of the richest people. When they are contended, they have nothing to lose and have little worries. They lack, I have; they languish, I live. Buddhism appeals more to the intellect than to the emotion. It is concerned more with the character of the devotees than with their numerical strength. The foundations of Buddhism are the four Noble Truths—namely, Suffering, its cause (i.e., Craving), its end (i.e., Nibbana), and the Middle Way (the Middle Path). Some believe that Buddhism is a sublime system, that it cannot be practiced by ordinary men and women. Others believe that only in temples and monasteries one can practice Buddhism. These misconceptions come because of a lack of understanding of the Buddha’s teachings. His teachings are not meant only for monks in monasteries. They are for ordinary human beings like You and I. The Four Nobel Truths and the Eightfold Nobel Path - the Buddhist way of life is intended for all people. When one understands the spirit of Buddhism correctly, he or she can practice it anywhere.